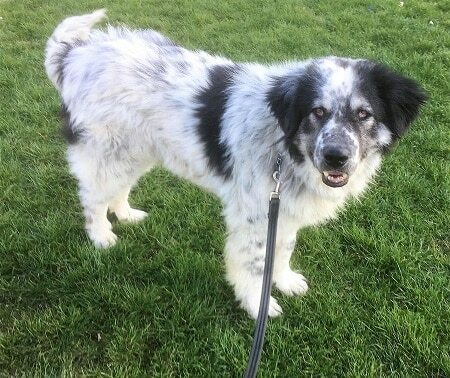 Apollo is a very handsome, large and lovely gent, possibly a Carpathian Shepherd or livestock guardian mix who was rescued from a shelter in Romania. With a gorgeous black and white coat, he is a neutered male and the vet thinks he is probably nearer 7 or 8 years old, even though his passport shows him as 10 years old. He is actually very playful and almost puppyish in his behaviour, has lots of energy and stamina and he can go for lengthy walks no problem. 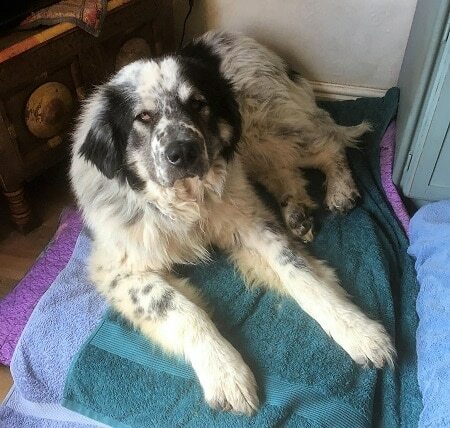 Apollo is currently living in a foster home in Hemel Hempstead, Hertfordshire under the care of the Romanian Rescue Appeal. Apollo is a fabulous dog, sociable and adaptable. Where he currently lives is quiet but he would probably be able to settle into a busier home too. However, he needs an owner who is used to handling male, giant breed dogs, as he is very strong and has a guarding instinct. He can be left for a few hours without problems. 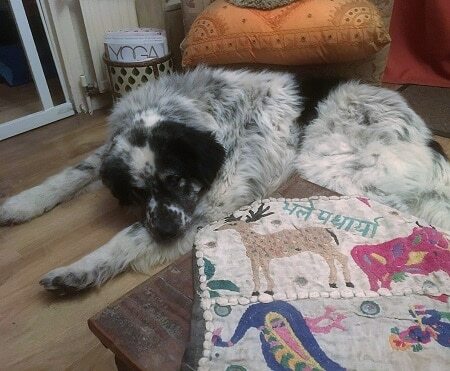 Apollo would benefit from a home with a large garden and a room where he can be fed alone. He currently lives with another dog, but this needs management as he can be dominant around food for example. He would be fine as an only dog. 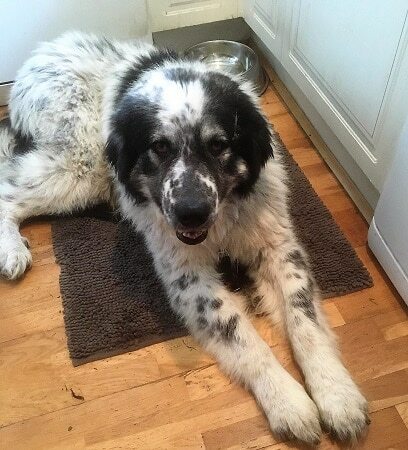 Apollo would be best in a home without young children (teenagers would be perfect) due to size. He will chase cats. Apollo has no known medical conditions and is currently on antibiotics and Metacam for an infected nail bed. To see what a gorgeous boy Apollo is, you can watch a couple of videos of Apollo here and here. Or to send a message through their Facebook page, click here. 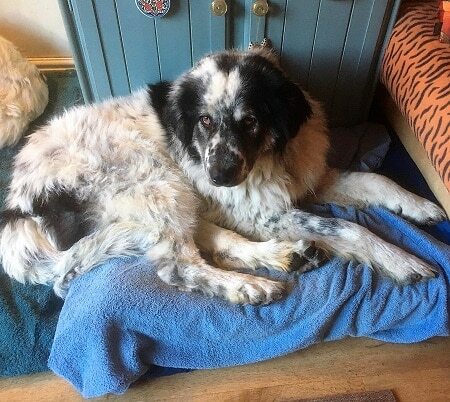 Please mention you saw Apollo on the Oldies Club website.